With our powerful API, you can transform any website into iOS and Android apps in real time. Apps built with Tovim Apps can update and sync data instantly in the platform when data changes. Configure custom push messages on your device. Your app will be able to receive various notifications in visual alerts. Choose an impressive launcher icon. Customize and transform it into a unique three dimensional shape. Impress users and increase the popularity of your app by uploading your own customized splash screen. Web2App helps you create apps for all platforms in real time instantly. You do not need expensive developers and months of time to develop a mobile app. Just get access to Web2App builder and start using it to build your mobile applications. Apps are more convenient for users & easier to navigate. Applications gives app owners lead over competitors in engagement. 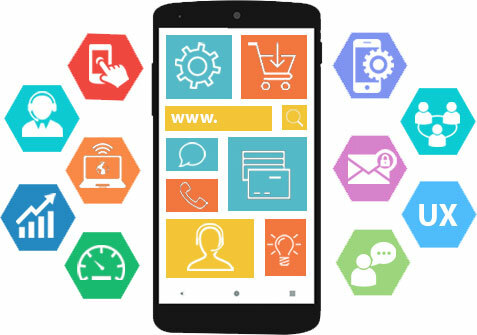 If you’re doing business in any capacity, you need to have a mobile app. App monetization is better than the revenue of websites nowadays. Just think how huge Tinder, Snapchat and Uber are right now! The Mobile App Industry is currently the fastest growing industry in the world... Can YOU afford to miss out? Check out the demo video below... Make sure to set video in HD (best quality) if it's not clear. Need a demo app for your website? We will give you access to our demo account via email where you can create the demo app. Contact us via chatbox below and send us your website link. Demo apps last for 24 hours after installation.